Bring the kids along to Melbourne Zoo and Fitzroy Gardens. And it doesn't end there: take in nature's colorful creations at Royal Botanic Gardens, steep yourself in history at Old Melbourne Gaol, savor the flavors at Food & Drink, and take an in-depth tour of Immigration Museum. For photos, traveler tips, reviews, and other tourist information, read our Melbourne trip itinerary maker website . Mumbai, India to Melbourne is an approximately 17-hour flight. The time zone difference moving from India Standard Time (IST) to Australian Eastern Standard Time (Victoria) (AEST) is 4 hours. Prepare for colder weather when traveling from Mumbai in April: high temperatures in Melbourne hover around 23°C and lows are around 11°C. Finish up your sightseeing early on the 2nd (Thu) so you can travel to Canberra. 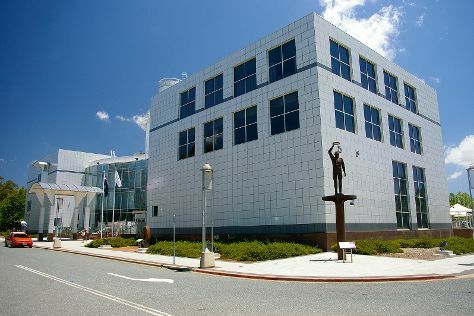 Kick off your visit on the 3rd (Fri): take an in-depth tour of Australian War Memorial, then get curious at Questacon, and then ponder the world of politics at Parliament of Australia. To see maps, ratings, other places to visit, and tourist information, read our Canberra trip itinerary maker tool . You can fly from Melbourne to Canberra in 3.5 hours. Alternatively, you can drive; or take a bus. Plan for slightly colder nights when traveling from Melbourne in May since evenings lows in Canberra dip to 2°C. Cap off your sightseeing on the 3rd (Fri) early enough to go by car to Sydney. 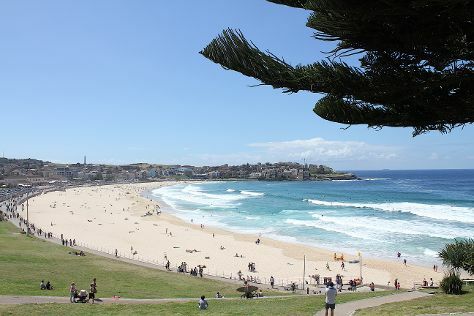 Kids will appreciate attractions like Bondi Beach and Chinese Garden of Friendship. There's still lots to do: trek along Bondi to Coogee Beach Coastal Walk, appreciate the extensive heritage of The Rocks, take a stroll through Darling Harbour, and snap pictures at Sydney Harbour Bridge. To see more things to do, ratings, reviews, and tourist information, read our Sydney trip itinerary site . You can drive from Canberra to Sydney in 3.5 hours. Other options are to fly; or take a bus. In May, Sydney is somewhat warmer than Canberra - with highs of 24°C and lows of 14°C. Finish your sightseeing early on the 7th (Tue) to allow enough time to travel to Gold Coast. Bring the kids along to Sea World Theme Park and Warner Bros. Movie World. There's lots more to do: get in on the family fun at Dreamworld, browse the different shops at Marina Mirage, make a trip to Rotary Carousel Broadbeach, and enjoy the sand and surf at Surfer's Paradise Beach. To see maps, photos, traveler tips, and other tourist information, read our Gold Coast trip itinerary builder tool . Traveling by flight from Sydney to Gold Coast takes 3.5 hours. Alternatively, you can do a combination of flight and train; or drive. In May, daily temperatures in Gold Coast can reach 27°C, while at night they dip to 15°C. Finish your sightseeing early on the 10th (Fri) to allow enough time to drive to Brisbane. Attractions like Lone Pine Koala Sanctuary and Moffat Beach make great kid-friendly stops. There's much more to do: let the kids burn off some steam at South Bank Parklands, contemplate the waterfront views at The Brisbane River, admire the natural beauty at Roma Street Parkland, and get great views at Brisbane Botanic Gardens Mt. Coot-tha. 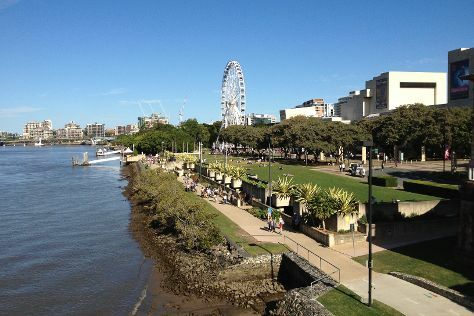 To find traveler tips, more things to do, reviews, and more tourist information, you can read our Brisbane trip site . You can drive from Gold Coast to Brisbane in an hour. Alternatively, you can take a bus; or take a train. In May, daily temperatures in Brisbane can reach 27°C, while at night they dip to 15°C. Finish your sightseeing early on the 14th (Tue) so you can travel to Perth. 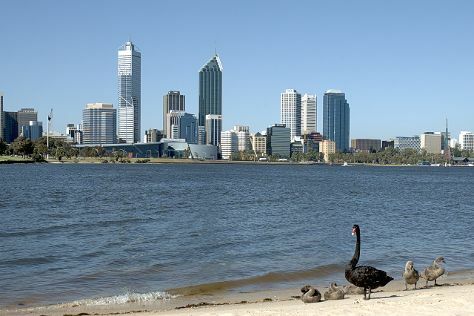 On the 14th (Tue), explore the activities along Swan River, then stroll through Cottesloe Beach, and then pause for some photo ops at Elizabeth Quay. Fly from Brisbane to Perth in 8 hours. Alternatively, you can do a combination of bus and flight; or drive. Traveling from Brisbane to Perth, you'll gain 2 hours due to the time zone difference. Traveling from Brisbane in May, expect slightly colder with lows of 11°C in Perth. On the 15th (Wed), you're off toAirlie Beach. Start off your visit on the 16th (Thu): discover the deep blue sea with a scuba or snorkeling tour. On the 17th (Fri), you'll have a packed day of sightseeing: race across the water with a speed boat tour. To find ratings, more things to do, and other tourist information, go to the Airlie Beach trip planner . You can do a combination of flight and bus from Perth to Airlie Beach in 11.5 hours. Other options are to do a combination of flight and ferry; or drive. Due to the time zone difference, you'll lose 2 hours traveling from Perth to Airlie Beach. Traveling from Perth in May, Airlie Beach is a bit warmer at night with lows of 24°C. Finish your sightseeing early on the 17th (Fri) to allow enough time to travel to Cairns. Attractions like Scuba & Snorkeling and Palm Cove Beach make great kid-friendly stops. There's much more to do: hike along Esplanade Boardwalk, admire the natural beauty at Botanical Gardens, kick back and relax at Trinity Beach, and take in the architecture and atmosphere at St Monica's Cathedral. To find traveler tips, photos, maps, and tourist information, refer to the Cairns trip itinerary maker tool . You can do a combination of ferry and flight from Airlie Beach to Cairns in 5 hours. Other options are to do a combination of bus and flight; or drive. Expect a bit warmer weather when traveling from Airlie Beach in May: highs in Cairns hover around 32°C, while lows dip to 24°C. Wrap up your sightseeing on the 20th (Mon) early enough to drive to Port Douglas. 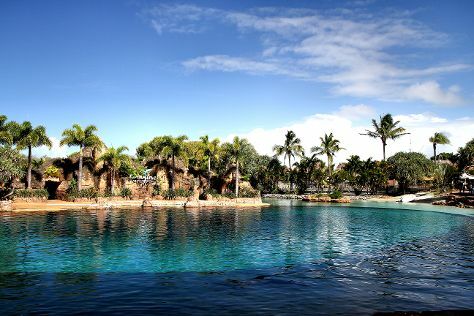 You'll visit kid-friendly attractions like Scuba & Snorkeling and Wildlife Habitat Port Douglas. Spend the 23rd (Thu) spotting exotic species with a safari tour. The adventure continues: relax in the rural setting at Hartley's Crocodile Adventures, head outdoors with Horses in Port, and look for gifts at Coffee Works. You can drive from Cairns to Port Douglas in 1.5 hours. Other options are to take a bus; or take a shuttle. In May in Port Douglas, expect temperatures between 32°C during the day and 24°C at night. Finish your sightseeing early on the 23rd (Thu) to allow enough time to travel to Darwin. On the 24th (Fri), surround yourself with nature on a nature and wildlife tour. For more things to do, maps, where to stay, and tourist information, use the Darwin trip builder app . You can do a combination of shuttle and flight from Port Douglas to Darwin in 5.5 hours. Alternatively, you can drive; or take a bus. While traveling from Port Douglas, expect somewhat warmer days and about the same nights in Darwin, ranging from highs of 38°C to lows of 26°C. Wrap up your sightseeing by early afternoon on the 25th (Sat) to allow enough time to travel back home.